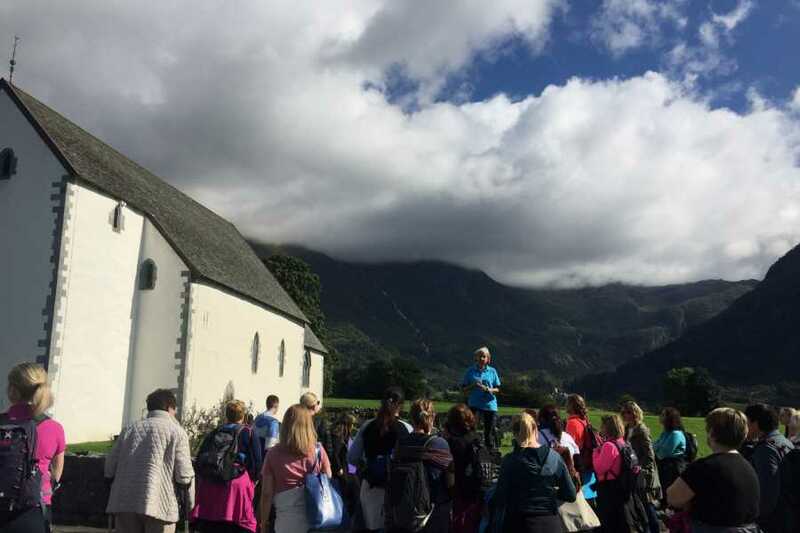 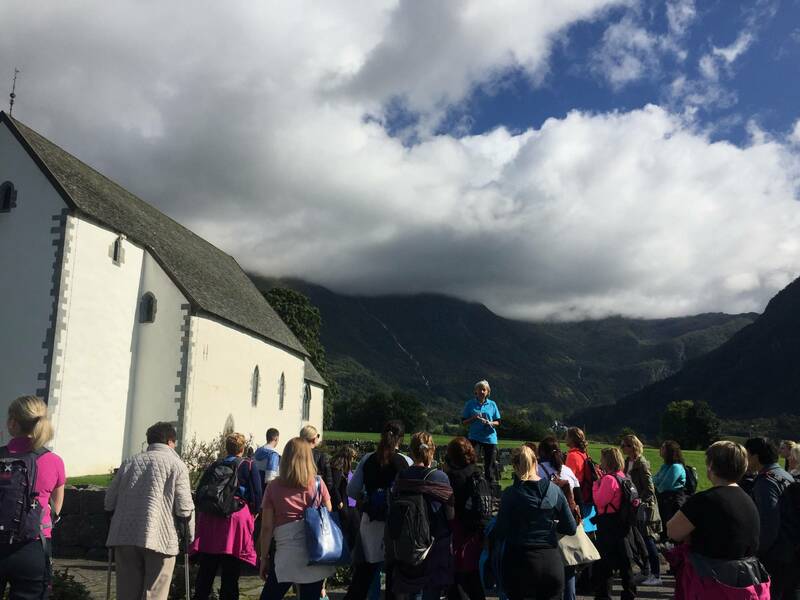 Our first stop will be at the beautiful Kvinnherad Church which was built in 1250. 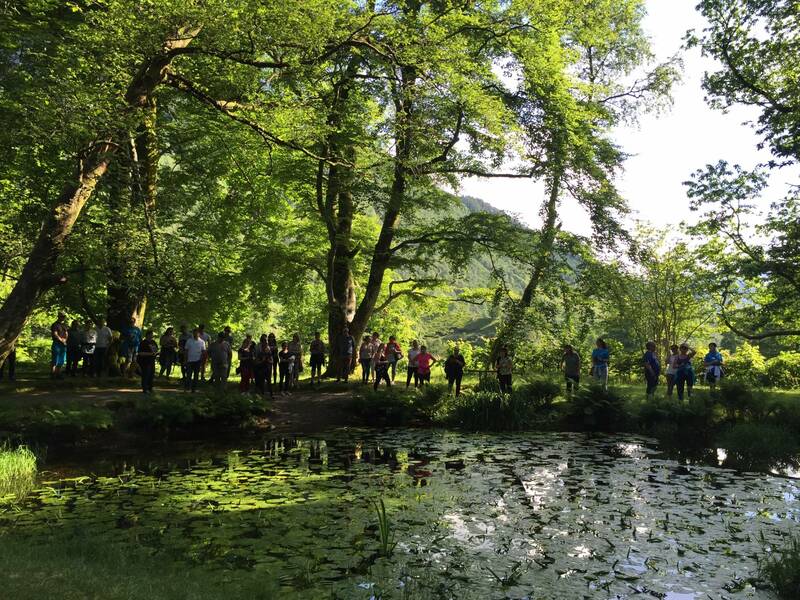 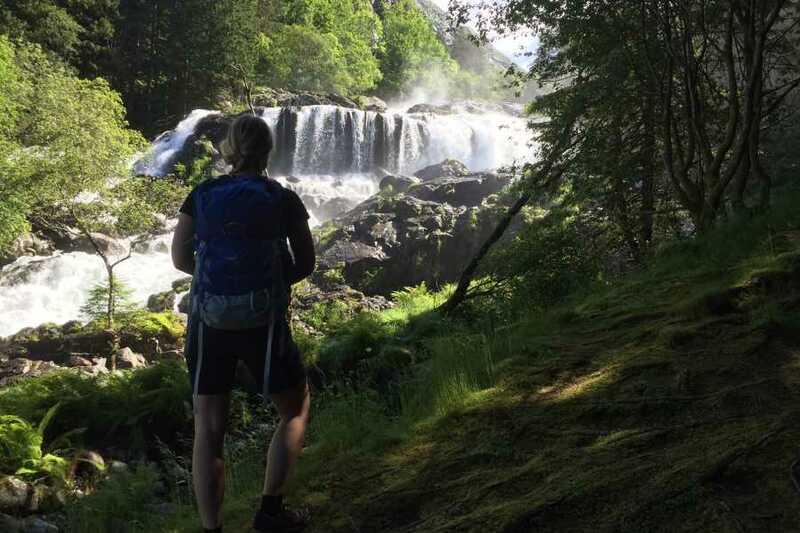 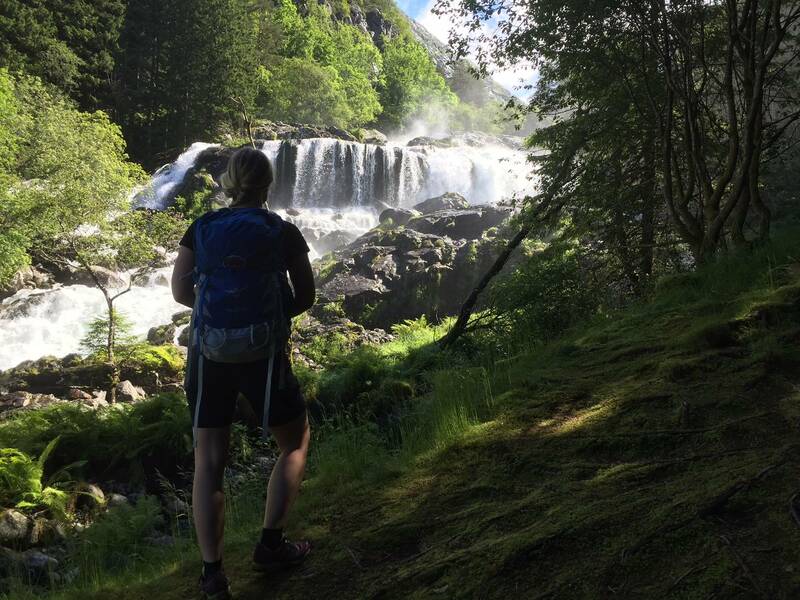 We will continue our scenic walk towards "utsikten" the viewpoint overlooking Hatteberg Waterfall, on the way we will make a short stop at the Stone Park. 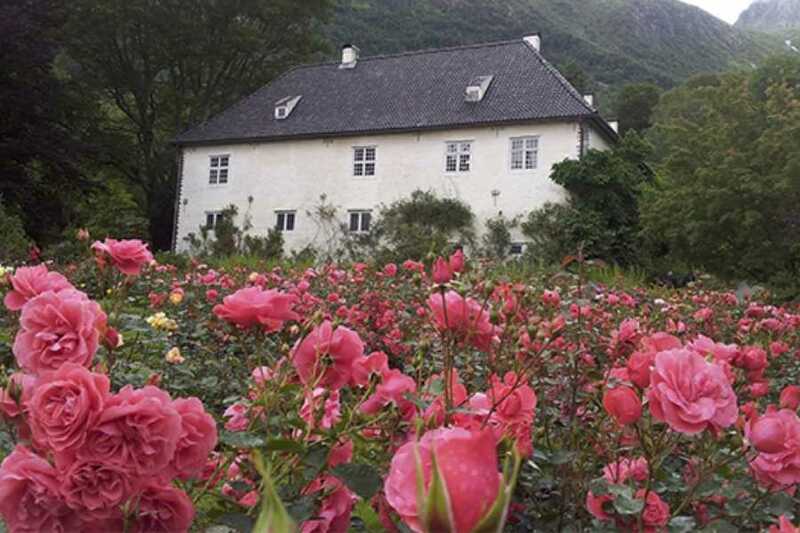 After the waterfall we get to the beautiful rosegarden by the Castle, the Barony of Rosendal from1665. 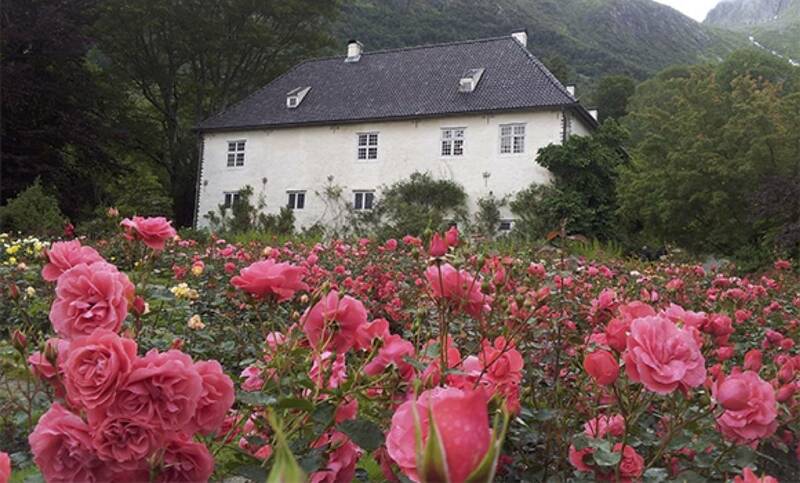 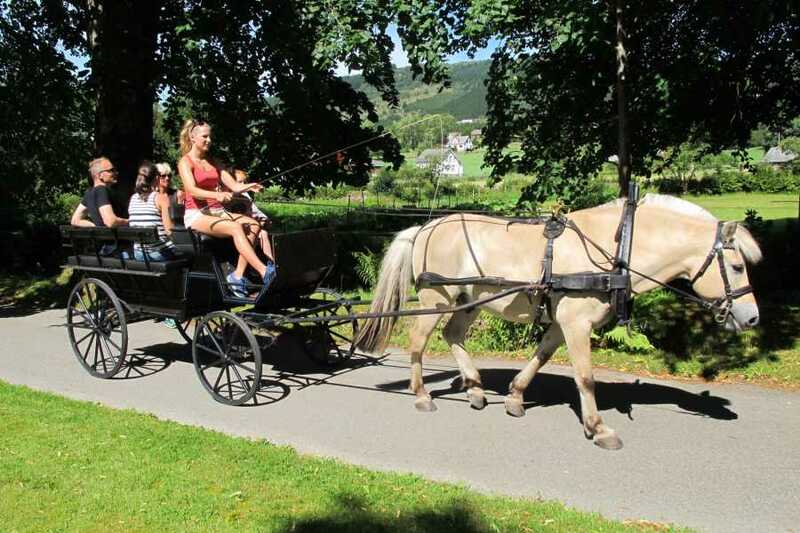 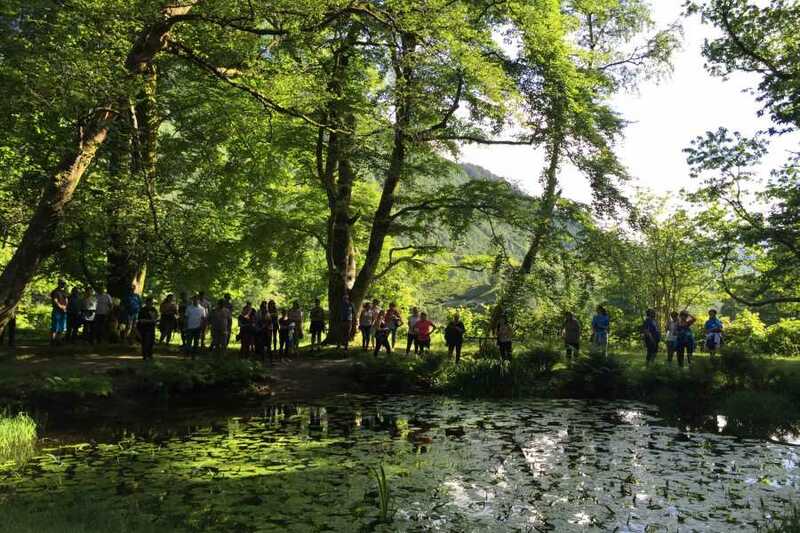 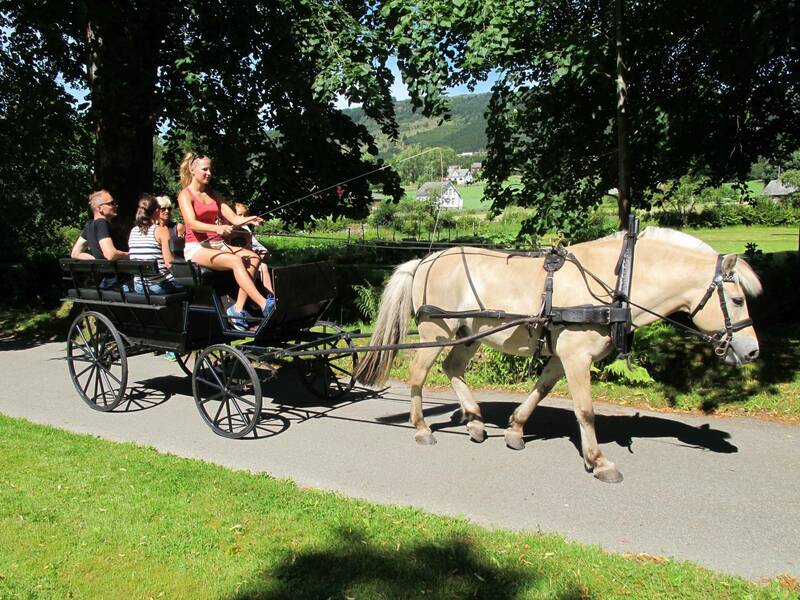 At Rosendal Garden we get a grand view of the enveloping mountains Malmangernuten, Melderskin and Laurdalstind.